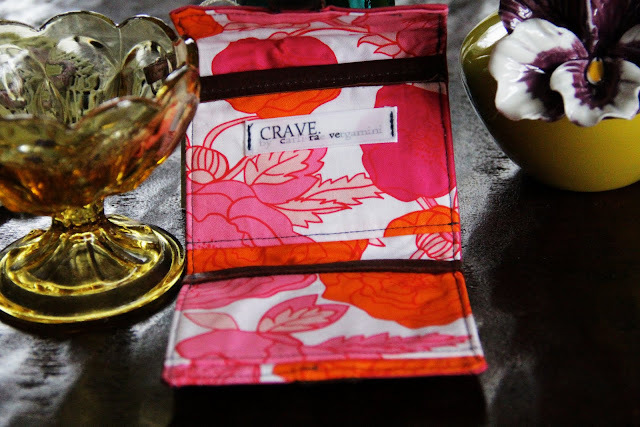 Lovelies in my Life : A "Crave" Giveaway! I'm so thrilled to share our newest giveaway with you! 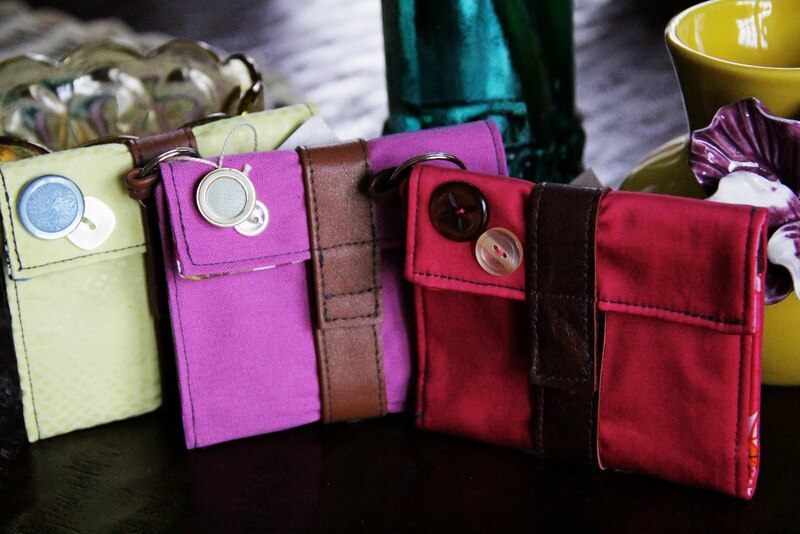 I have 2 charming wallets for 2 lucky ladies. 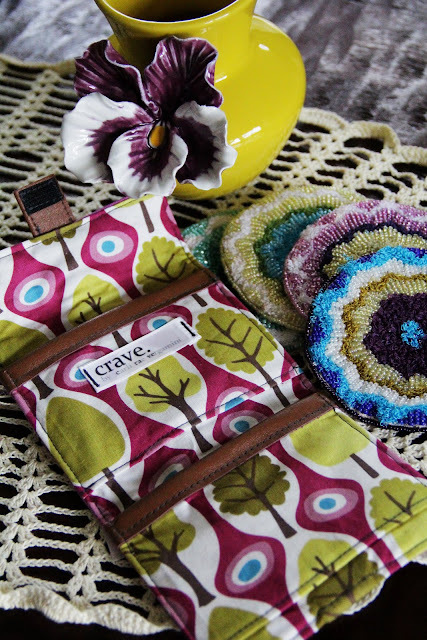 These wallets are from a line called Crave (also at etsy and sold at Hey Daisy! 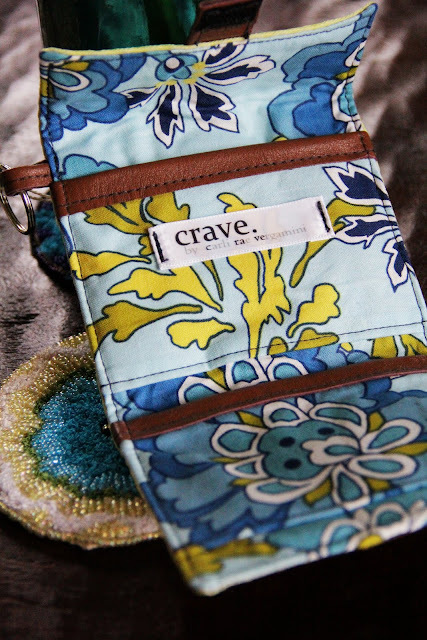 in De Pere) by designer Carli Vergamini, a Green Bay local who creates this arm candy out of vintage and up-cycled fabrics. No two are alike! I asked Carli a few questions so that we could get to know her a bit better. 1. How did you get started? Fashion peaked my interest in high school. My best friend and I started our own little company selling custom t-shirts and bags to our friends and then ran off to college to follow our passion in design. Our dream of starting up a real business kind of got squashed as classes prepared us for the real world rather than what we expected fashion school to be. Don't get me wrong, no regrets whatsoever, just a surprise at the time. 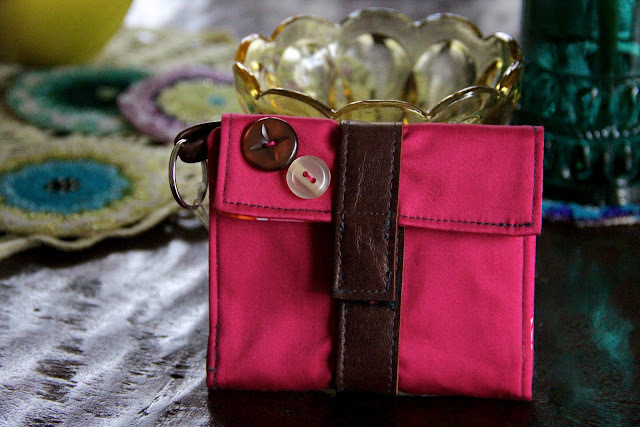 I spent a few months studying in London where I fell in love with handbag design and working with leather. Had no idea at the time, but it would change my future plans quite a bit. Fast forward to post-graduation, I was bummed I couldn't find my dream job right off the bat and without really knowing it, slowly starting creating my own dream job by sewing totes and purses in my bedroom. 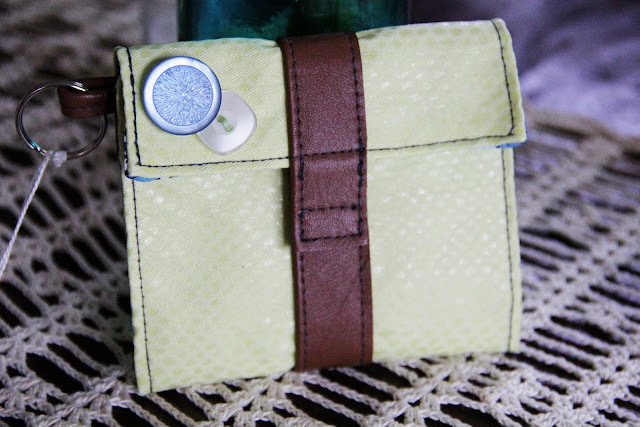 And here I am now, still sewing in my bedroom, but slowly and surely making my mark- designing, sewing, selling (and everything in between) handbags under my own name and couldn't be happier. 2. What inspires you when you're creating your lovelies? My favorite source is the runway. When fashion week rolls around I'm looking at designer shows daily. But also vintage fashion. My mom got me into watching old black and white movies, and I love to watch them for the jaw-dropping gowns and costumes. 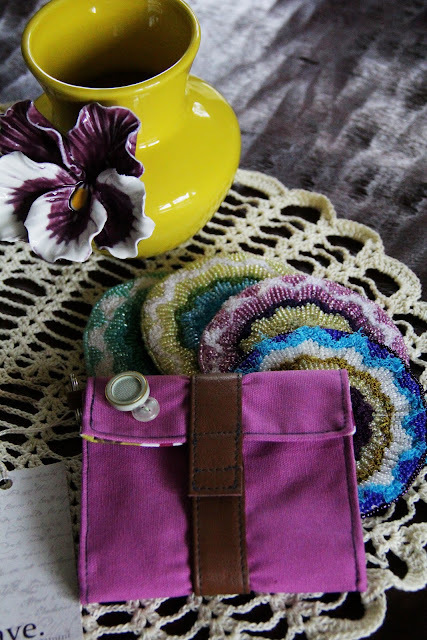 I love the feel of old Hollywood glamour and like adding a bit of a vintage feel (& fabrics) to my work. Lately I've been looking more towards architecture to get ideas for structure and seamlines. And lastly, (it sounds corny), but the environment. I'm personally trying to decrease my carbon footprint and as a result, the vast majority of the leather I use is recycled (from previously loved leather jackets). 3. Who is your favorite handbag designer? It's so hard to say and my favorite designers seem to change from season to season. Of course anything by the late Alexander McQueen is amazing (clothing as well of course), and I also like Betsy Johnson's quirky yet girly style. Carli is giving away 2 of the wallets photographed below (the pink one she sent to me!). 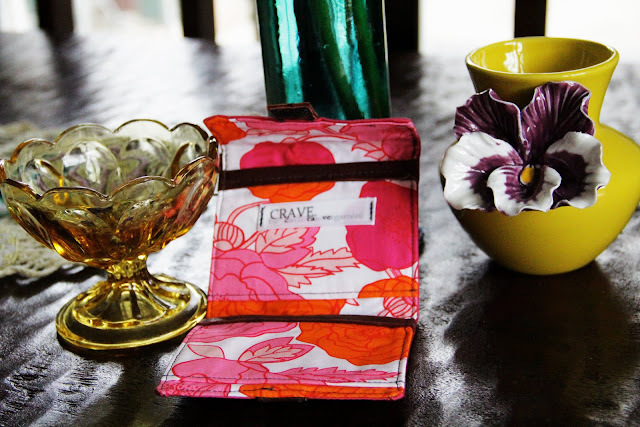 The first is a preppy purple with a mod spring-y inside and the second is a light lime-yellow snake skin print with a pretty floral inside. They're both gorgeous! To be entered to win, please make sure you have completely all 3 of the above. The 2 winners will be selected via random.org and announced on Friday, May 13th. Your chances are doubled! And be sure to check out Crave's website and etsy store. I like all the wallets, but I adore the pink and orange floral one. These are awesome..seems like a person who really has a passion for what she does. Very beautiful work. Thanks for sharing some local talent with us! Very cute! Love the story too! Love this blog! It makes my heart light and my face happy! Such great inspiration.